AirEssence diffuses through sola flowers  made one at a time  by skilled artisans using the dried peel of the sola plant that is sewn onto a cotton wick. In keeping with the Agraria definition of "from the earth", sola flowers are a natural material and environmentally friendly. As the fragrant essential oils are absorbed through the cotton wick, the petals will change to the color of the oil as the scent diffuses into the air. Gift boxed with crystal glass tray and 3 sola flowers. 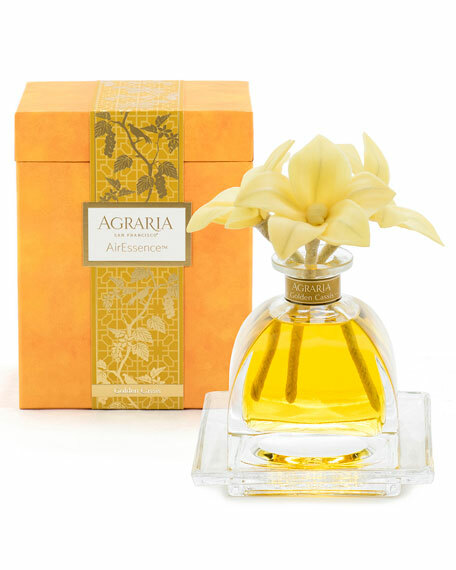 Since 1970, Agraria has been enchanting customers with rich, unique fragrances. 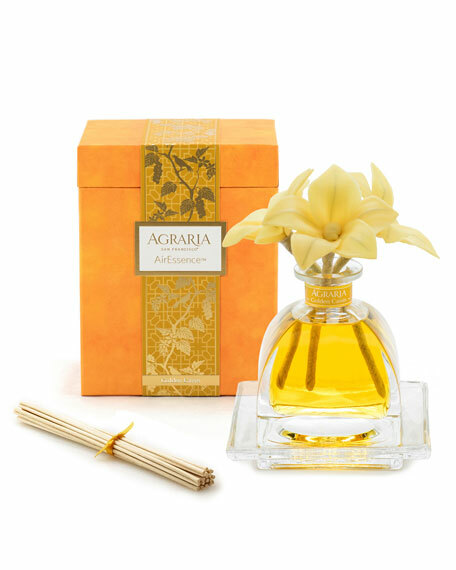 With the belief that, "no great house is ever completely decorated until it has its most important decorative accessoryhome fragrance", interior designers Maurice and Stanford started their own unique collection of Agraria candles, incense, sachets, bath and body products. Luxurious packaging and the finest ingredients make them the perfect gift for anyone.